Rothbard's posthumous masterpiece is the definitive book on the Progressives. It will soon be the must read study of this dreadful time in our past. — From the Foreword by Judge Andrew P. Napolitano. Been waiting for this beauty for a long time. I'm only just past the Forward and the Introduction, and it's already great. 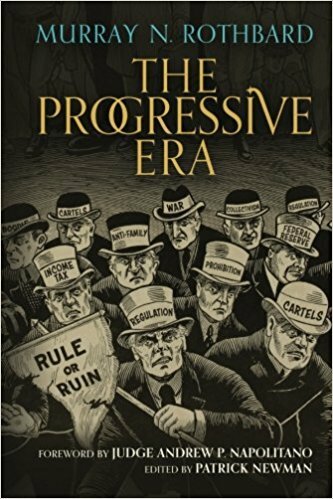 I should mention also, that another indispensable book on the subject is James Ostrowski's "Progressivism: A Primer on the Idea Destroying America." Rothbard's is more detailed of course. Ostrowski's is concise, blunt, and scathingly critical of progressivism.